HONOLULU, HI--(Marketwire - February 17, 2010) - Tetris Online, Inc. (www.tetrisonline.com) today announced the upcoming release of "Tetris® Party Deluxe" for both Wii™ and Nintendo DS™, set to hit retail shelves in North America this June. To support the launch and distribution of two exciting new Tetris games for Wii™ and Nintendo DS™, Tetris Online has formed a strategic partnership with Majesco Entertainment Company, an innovative provider of video games for the mass market. that lets players create their own shadow puzzles to play. multiplayer fun for groups of friends and family. 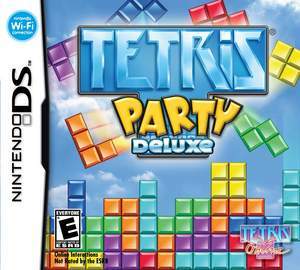 "After seeing how well 'Tetris Party' was received on WiiWare, we immediately began working with Hudson Soft to develop an even more impressive version of the game intended to reach larger audiences at retail for both Wii and Nintendo DS," said Minoru Arakawa, president and chief executive officer of Tetris Online, Inc. The Tetris brand is stronger than ever before, and we're thrilled to be working with world-class partners such as Majesco and Hudson to help deliver the best Tetris experience possible to fans this summer." The Tetris game is one of the world's most popular casual computer games and has been scientifically shown to change our brains -- another great reason to look forward to the June release of "Tetris Party Deluxe!" 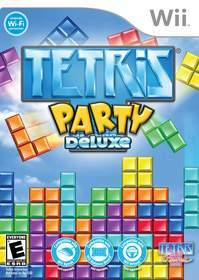 Details for a European release of "Tetris Party Deluxe" are forthcoming. For more information on "Tetris Party," please visit http://www.tetrisparty.com. Tetris Online, Inc. is the exclusive online licensee of The Tetris Company, LLC of all rights to the world-famous Tetris® game in North America and Europe. Founded in January 2006 by Minoru Arakawa, Henk Rogers and Alexey Pajitnov, Tetris Online is a developer and publisher of electronic entertainment properties. Titles include Tetris Party for WiiWare™, Tetris Splash for Xbox LIVE® Arcade, and Tetris Friends Online Games, which can currently be found at www.tetrisfriends.com. Tetris Online is privately held and headquartered in Honolulu, Hawaii. The Tetris® brand is one of the leading and most distinctive video game brands and franchises in the world. In the game's 25-year history, over 125 million units have been sold. Loved globally by people of all ages and all cultures, the Tetris game continues to be one of the most widely recognized video games of all time. According to researchers, the Tetris game is an excellent tool for neuroscience research and has been used in over 30 scientific studies. Research published in 2009 in BMC Research Notes found that study participants who played Tetris showed increased brain efficiency and, relative to controls, an increase in brain tissue. Tetris Holding, LLC is the owner of Tetris rights worldwide and The Tetris Company, LLC is its exclusive licensee. The Tetris Company, through its agent Blue Planet Software, Inc., licenses and manages the Tetris intellectual property and franchise worldwide. Today, Blue Planet Software continues to work with licensees to deliver top quality Tetris products that are relevant, fun and challenging for its millions of players. For the latest information about the Tetris brand and Tetris products, please visit www.tetris.com. Majesco Entertainment Company is a provider of video games for the mass market. Building on more than 20 years of operating history, the company is focused on developing and publishing a wide range of casual and family oriented video games on Wii™, Nintendo DS™ and other leading systems. Product highlights include Cooking Mama™, Alvin & The Chipmunks: The Squeakquel and Tetris® Party Deluxe. The company's shares are traded on the Nasdaq Stock Market under the symbol: COOL. Majesco is headquartered in Edison, NJ and has an international office in Bristol, UK. More information about Majesco can be found online at www.majescoentertainment.com. @Majesco is on twitter or at www.twitter.com/majesco. MWW Group for Tetris Online, Inc.
About this company Tetris Online, Inc.